Founded in 1918 The Crimea State Medical University is one of the oldest medical universities in Russia. Nowadays The Crimea Medical University provides medical education up to the latest data and highest world educational standards. In the same time the University keeps upgrading the teaching methods towards global trends in medical education and research, training medical students for the health care in Russia. 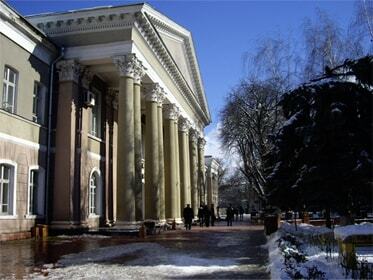 About 4.7 thousand students study at the Crimea State Medical University n.a. S. I. Georgievsky, including 1.7 thousand foreign citizens from more than 45 countries of the world. The University started to admit the international students for more than 80 years ago. 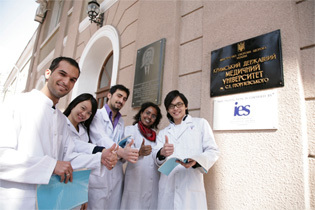 Since 1999 English has been the second language of instruction, which makes international students even more interested study at the Crimea State Medical University. The excellence in teaching at CSMU has been recognized by Medical Council of India (MCI), UNESCO, WHO, General Medical Council, International Educational Society (IES). The University has been also awarded the title of laureate in the rating of Higher Schools "Sofia Kievskaya –2004" due to the constant cooperation development with foreign countries and high quality of education. The disciplines taught at CSMU encompass the humanities, the social sciences, law, natural sciences, and the life sciences, including medicine. To make research results available to society and encourage their utilization in all sectors of public life. Students, researchers, teachers, technical staff, and administrative personnel compose integral part of the university. 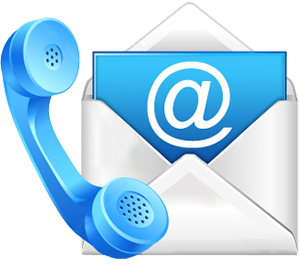 CSMU itself is a self-governing institution committed to the principles of good academic practice. The University is aiming to connect the knowledge and expertise of its members across generations. It is dedicated to systematically advancing the careers of young scholars and scientists, offering the wide opportunities for independent researches. The University is thus ideally positioned to meet future challenges with an appropriate degree of flexibility. The intricate connection between research and teaching provides for an education that is academic, practical, and continuous. CSMU is providing equal opportunities for men and women, ensuring the compatibility of professional work and family, upholding the principle of diversity and equality both within and outside the bounds of the University. CSMU intends to further cultivate its contacts with former students and graduates, friends and supporters, as well as its partners in business and cooperation to attract additional encouragement and support. CSMU international orientation is a long-standing tradition. Occupying a leading position in medical higher education over the Europe, the University is committed to providing its global competitiveness. It will continue to increase its attractiveness for outstanding international scholars and students and to expand its international networks in order to provide both junior researchers and senior faculty with the best possible opportunities for further qualification and advancement. It is to be mentioned University has always been striving for the excellence in teaching and research, whereas encouraging enthusiasm for knowledge, intellectual challenge, continuous learning, and scholarly endeavors, inspiring accomplishment within one's field of study are the most essential of the University commitments. The history of Medical Faculty is directly related to the initial formation of Crimea State Medical University named after S. I. Georgievsky with the first admission in 1931, and first doctor's graduation in 1936. The over 80 years of education and research in medicine have multiple implications for our Faculty: tradition, experience, and a deep founded responsibility to conquer the incredible challenges that medicine of the 21st century presents. The Medical Faculty has prepared itself for these challenges in multiple ways: the establishment of central scientific institutions, of focus points in research, and of internal promotion and support of innovative research groups. This all taking place in a very enlivening and interactive environment, surrounded by internationally recognized research institutions. From the foundation day the Faculty was headed by leading scientists who have made great contribution into the development of the University. Presently more than 20 Doctors of Medicine and 30 Assistant Professors deliver lectures for international students at Medical Faculty, whereas most of them are doctors of higher category. The dean's office maintains close relation with the graduates, and most of them afterwards develop theirs skills at the Post-Graduate Department of the University. In such way CSMU graduates rank at the top among health care professionals from other higher medical schools. For the purpose of students' academic success computer resource support is totally provided at the Faculty so that students may examine patients in computer x-ray rooms, as well as to investigate functional and anatomical processes of various diseases. Students also may use ultrasonography, powerful sources of radiation for radiotherapy of malignant tumors, endoscopic equipment, available at the Faculty. Continuous actions are regularly encouraged for manuals edition in areas of microbiology, virology and immunology for medical students. Besides the teaching itself scientific activities of the Faculty are also focused on the research of Microbiological and Immunological Effect of Glycosides and other Biologically Active Substances. Students are taught according to the curriculum provided by the Ministry of Education and Science. During the first and second years students study humanitarian and fundamental subjects, which are the basis for medical knowledge acquired during the following years. Students' clinical knowledge, which is diagnostics and treatment of patients, practical skills – is of particular significance. New structuring of the training of medical students at CSMU, based on the close cooperation with national and international universities, has placed emphasis on small group lectures, a closer integration of our teaching hospitals, and the inclusion of general practitioners' practices in the medical education. All of these things work together to promote our rising generation of medical professionals, making it possible for them to stand up to the challenges of the ever growing field of medical knowledge. The high standards in medical education and research, head to head with the newest developments, ultimately have the goal of maximal quality in patient care, harmonizing with the general goal of medicine that has spanned millennia: to heal diseases and to alleviate suffering. US $ Rs. US $ Rs. US $ Rs. US $ Rs. US $ Rs. US $ Rs. US $ Rs. PLEASE NOTE THAT YOUR DECISION TAKEN TODAY CAN NEVER EVER HAVE A REPLAY!!! Wishing You All Resounding Success!! !